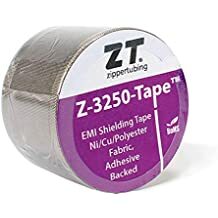 Zipper Mesh Alhtg 65 - Zipper Mesh - Trade Names - ZT | Zippertubing Co.
Zipper-Mesh™ cable shielding is a convenient and efficient method of providing EMI/EMP protection to harnesses and wire bundles. 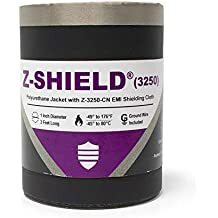 It is a highly-flexible shield constructed of 4-ply knitted wire mesh utilizing an internal shield overlap, an integral grounding strap, and a heavy-duty zipper closure. The zipper closure mechanism allows installation to be "tool-free", and re-entry to be very simple for cable repair or modification. The Zipper-Mesh™ product line gives you the option of having no external covering allowing for easy ground termination, or you may choose from four abrasion-resistant options of protective jacket options.